As today is the first day of the school holidays it has obviously poured with rain all day. Tomorrow we are off on our holidays to Pembrokeshire so have been packing. I’d like to promise sketches on my return but keeping Finch from charging off a harbour wall or diving into the nearest rock pool may keep me busy. 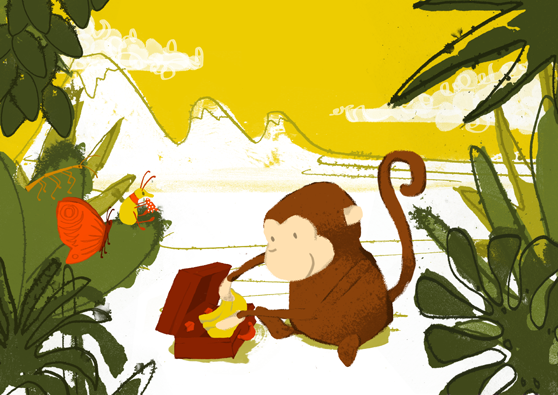 Here’s a little monkey who’s also packing. This entry was posted in Family and friends, Illustration and tagged holidays, illustration, Monkey, packing rain, pembrokeshire. Bookmark the permalink.